Buy 40 or more for $12.82 each. This product will be released on 05/07/19. 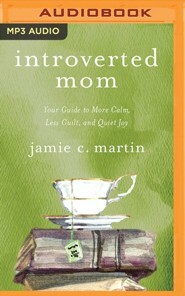 For any mother who has ever wondered if her personality clashes with her role, Introverted Mom by author Jamie C. Martin offers vulnerable stories, faith-filled encouragement, and insightful practices to help you fully appreciate your introverted nature and celebrate the gifts and strengths you bring to your family. Jamie shares vulnerable stories from her own life as well as thoughts from other kindred-spirit moms, helping you add more calm to your days. 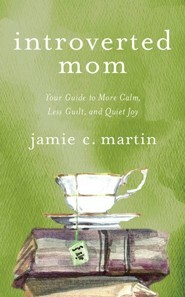 Her practical suggestions, combined with quotes and insights from four well-known introverted writers, point you back toward hope, laughter, and quiet joy. 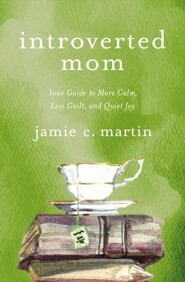 I'm the author/artist and I want to review Introverted Mom: Your Guide to More Calm, Less Guilt, and Quiet Joy.